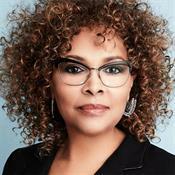 Julie Dash is Distinguished Professor in the Arts at Spelman College’s Department of Art and Visual Culture. In 1991, filmmaker Dash broke through racial and gender boundaries with her Sundance award-winning film (Best Cinematography) Daughters of the Dust. With its release, she became the first African-American woman to have a wide theatrical release of a feature film. In 2004, the Library of Congress placed Daughters of the Dust in the National Film Registry where it joins a select group of American films preserved and protected as national treasures by the Librarian of Congress. Dash is the only African-American woman with a feature film that has been inducted into the National Film Registry. Dash is the recent recipient of numerous awards including the New York Film Critics Special Award; the 2017 Robert Smalls Merit and Achievement Award; and the Visionary Award from Women in Film, Washington, DC. She served as the 2017 Time-Warner Visiting Professor at Howard University, and a Distinguished Professor of Cinema, Television and Emerging Media (CTEMS) at Morehouse College (2015-2017). Dash recently directed multiple episodes of the award-winning dramatic series, Queen Sugar, Season 2, created and produced by Ava DuVernay and Oprah Winfrey for OWN Television. Dash participated in the Trailblazing Women franchise on Turner Classic Movies and later became a visiting host on TCM. Dash, who has written and directed for CBS, BET, ENCORE STARZ, SHOWTIME, MTV Movies and HBO, directed The Rosa Parks Story (for which Dash she was nominated by the DGA for Best Direction), Incognito, Funny Valentines, Love Song, and Subway Stories: Tales from the Underground. These works have been the recipients of the NAACP Image Award and nominated for an Emmy and The Directors Guild of America Award. Dash’s work as a film director includes museum and theme park exhibits and design for Disney’s Imagineering, Brothers of the Borderland for The National Underground Railroad Freedom Center Museum, Smuggling Daydreams into Reality for the Indianapolis Museum of Art, and the upcoming 2017 work, Standing at the Scratch Line, for the Philadelphia Museum of African American History. Her work also includes music videos, documentaries, PSA’s, industrial documentary films, and commercial spots for Fortune 500 brands, including Coca Cola and General Motors Corporation. Dash published Daughters of the Dust: A Novel (New York: Dutton Books, 1997) and Daughters of the Dust: The Making of an African American Woman’s Film (New York: The New Press, 1992). Recent retrospectives of her narrative film work have been held in Sweden, Beijing and Hong Kong University, China; Charleston, South Carolina, Creteil, France; Taipei, Taiwan; and Philadelphia, Pennsylvania. She also served as chair of the International Jury at the Kerala International Film Festival in India.